To my great surprise it turns out you can nowadays get an RFID reader with 2 tags for somewhere between 7$ and 10$. Better yet, interfacing these to Arduino is well documented and several libraries are available for that purpose. My friend who bought a couple of these asked me to see if I can read the tags directly from a Linux based ARM board (for example Raspberry Pi). It turned out to be rather easy as long as you aren’t interested in anything but the ID of the card. 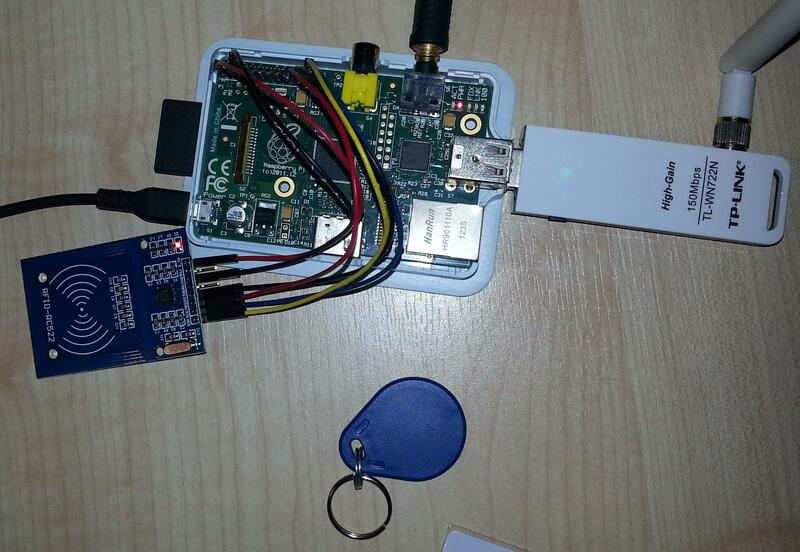 This can be done using rpi-rc522 library (NOT written by me). It sadly currently lacks any documentation or a Makefile so here are my notes on how to get it running. You should see tag IDs in the output of the program as they are read. You can put these into the /etc/RC522.conf file and map each ID to a specific command to run there. This entry was posted in hacks, linux, Uncategorized and tagged electronics, linux on January 4, 2014 by hadara.